Building & Construction Myanmar 2018 will be the fifth edition of Myanmar’s leading international industry trade event and your prime stage to access one of the world’s most exciting and rapidly developing markets. Myanmar has seen many political and economic reforms in recent years that have led to the easing of international sanctions and the opening of its doors to international trade. Now is the time to explore new business opportunities in Myanmar. Great need to build and upgrade the majority of its infrastructure, including housing, schools, shopping malls, hospitals, roads, bridges, railroads, airports, seaports and industrial zones. Opportunities exist in Raw materials for construction, construction equipment, affordable housing developments, high end housing development, extractives-driven industrial construction and transport infrastructure. Building & Construction Myanmar 2018 is held in-conjunction with Electric Power & Renewable Energy Myanmar 2018 and Mining Myanmar 2018. 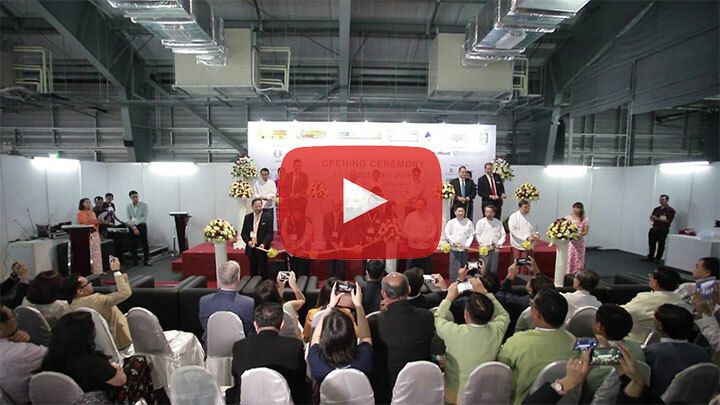 Electric, Power & Renewable Energy Myanmar 2018 will be the fifth edition of Myanmar’s leading international industry trade event and your prime stage to access one of the world’s most exciting and rapidly developing markets. Power is an essential requirement of Myanmar’s development, despite the recent increases in supply, demand is still double the available supply and only a quarter of people have access to Electricity in 2011. There are 40,000 MW of potential hydroelectric capacity in Myanmar and only about 2650 MW has currently been developed. Mining Myanmar 2018 will be the fifth edition of Myanmar's leading international industry trade event and your prime stage to access one of the world's most exciting and rapidly developing markets. The exhibition will provide companies with opportunities to see first-hand the potential in Myanmar's Mining sector. The country has extensive mineral resources included metallic minerals including copper, gold, lead, tin, tungsten, zinc, nickel, silver and precious stones including jade, ruby sapphire and diamond.